Most coming of age movies that examine the tracks of our years often let the music of the era do the walking for them. George Lucas's American Graffiti (1973), for instance, provided a softer, more genial look at the past and so he provided a perfectly programmed jukebox of iconic songs from the late Fifties and early Sixties in order to wax nostalgic. Lucas was displaying his marketing savvy, as well, even before Star Wars (1977), in creating a merchandising scheme to sell albums filled with hits for those needing to drift back happily to their good ol' days. Barry Levinson's Diner (1982), however, gave the lie to the Archie comics sensibility that Lucas trafficked in, and also let the songs of Elvis Presley ("Don't Be Cruel"), Fats Domino ("Whole Lotta Loving") and Bobby Darin ("Dream Lover") simply become the air the characters breathed. The Del Vikings' propulsive "Come Go With Me,"for example, is used in both films but is much more memorable in Diner. As Tim Daly's Billy Howard, a reticent Wasp, arrives at the Baltimore train station to be best man at the wedding for Steve Guttenberg's Eddie Simmons, and he's greeted by all his old friends, Daly strides confidently towards them in perfect time to the Del Vikings. It's as if the tune's seductive swing and rhythm provided a casual sway that only his old hometown awakened in him. The music in Diner essentially interacts with the characters, like an ambient intoxicant, that seems to imbue the comic patter that keeps them up all night in their favourite roadhouse dig. In capturing both the cultural and political shifts between the Fifties and Sixties, American Graffiti and Diner contained key elements of that shift, a seismic wave that carried Chuck Berry's "Sweet Little Sixteen" literally crashing into The Beach Boys' "Surfin' USA." But no American film made sense of that cultural revolution with more guile and imagination than Phil Kaufman's little-seen adaptation of Richard Price's The Wanderers (1979). It's loosely based on Price's 1974 novel about a youth gang in the Bronx named after Dion and The Belmonts' hit song ("The Wanderer") and the other New York city misfits they encounter and clash with. Set in 1963, the plot is a coming of age story not only for the hormonal kids, but also for the adults, and for the nation on the verge of JFK's assassination. In an early scene from the picture, as the forbidding Fordham Baldies stride onto the screen and gather outside the Marine Recruitment office, we hear The Four Seasons' triumphant "Walk Like a Man" on the track. In a sense, the comic use of the song is ironic because despite the overwhelming presence of these very large young hoods with shaved heads ("Those guys look like a bunch of pricks with ears," opines the diminutive Joey of the Wanderers), their body language carries a bigger tinge of male homoeroticism echoed in the shimmering falsettos of The Four Seasons. The heterosexual relationship the outsized and aptly named leader Terror (Erland van Lidth) has with his opposite number in stature, Pee Wee (Linda Manz), barely counts as straight because one can't begin to comprehend the two of them copulating. Terror, Pee Wee and the Fordham Baldies. Toni Kalem and Ken Wahl in The Wanderers. Written by King, along with Jerry Leiber and Mike Stoller (who had penned songs for Elvis, The Coasters and The Drifters), "Stand by Me" was inspired by the spiritual "Lord Stand By Me," a 1905 gospel standard written by Reverend Charles Albert Tindley, where Tindley calls on a mighty and higher power to deliver him "when the storms of life are raging." While the pop adaptation ended up with over 400 recorded covers since King first sang it, he almost refused to record it until Leiber and Stoller helped him complete it. When "Stand by Me" became a hit single in 1961, just as the country was at war with itself over segregation and mapping out the New Frontier, the composition spoke of dark nights that could be overcome. But in 1963, when the song first appeared on an album, its depiction of skies tumbling and falling seemed almost impossible to transcend in the wake of the President's murder. And that's where the song takes you in The Wanderers, where the appealing adolescent cockiness of Dion & the Belmonts' "Runaround Sue" and "The Wanderer," gives way to the adult emotions of "Stand by Me" (and later in the film by Bob Dylan singing "The Times They are a-Changin'" which sends Richie into retreat from this new world being born back into the safe and familiar one that's about to be irrevocably changed by the decade ahead). But the films I've already mentioned locate their stories in the distant past and were made some time ago. 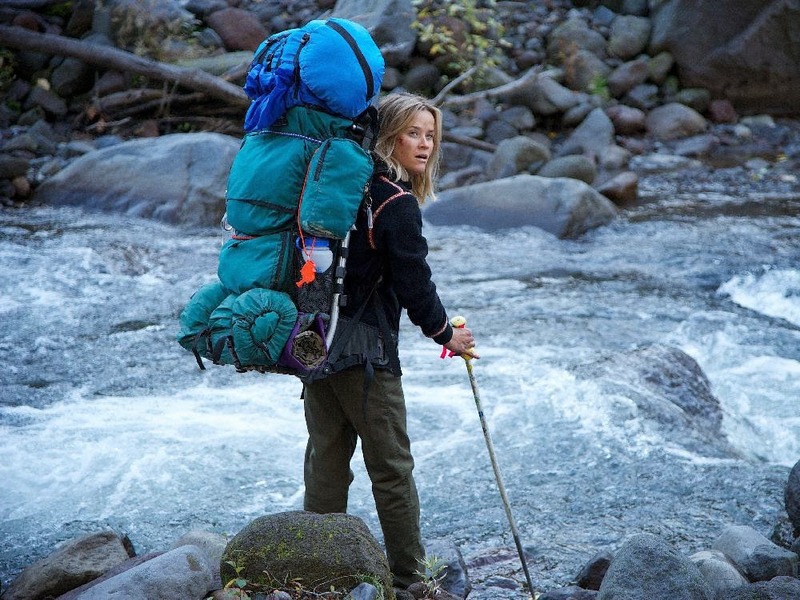 In Jean-Marc Vallée's beautifully elliptical adaptation of Cheryl Strayed's 2012 memoir, Wild: From Lost to Found on the Pacific Crest Trail, he does something equally radical with the music, but to achieve a different impact. A young woman, Strayed (Reese Witherspoon), hikes across the Pacific Crest Trail after the death of her mother. But she isn't on this trek to purify her life of the self-destructive habits she's acquired growing up in an embattled family (as you find in most life-affirming memoirs). Strayed uses the songs she knows to mark the miles of an umbilical chord that ties her to the mother (Laura Dern, in a beautifully cadenced performance) she lost to cancer. But Strayed also seeks her independence from that bond so that she can discover, as Steve Vineberg suggested in his Critics at Large review, the daughter her mother understood her to be. As in his 2005 debut, C.R.A.Z.Y., Vallée's coming of age story also examines the intricate ways music can shape our perceptions of a world we feel estranged from. Though Wild doesn't showcase the music in the dazzling way C.R.A.Z.Y. did with set pieces like The Rolling Stones' "Sympathy for the Devil" which plays with beatific blasphemy in the head of the young hero as he watches a Catholic church ritual in his Quebec hometown, Vallée does more lightning quick visual motifs on the various tunes that play in Cheryl's memory. Song fragments reach out to other fragments and they tie together a narrative that only she can string together. In the book, Strayed described her music as a “mix-tape radio station” that played in her head, where she kept “playing and replaying scraps of songs and jingles in an eternal, nonsensical loop.” But Vallée (with the help of Nick Hornby's deft script) makes sense of that loop by including the music of her mother that Cheryl has inherited and also needs to battle (like Simon and Garfunkel's "El Condor Pasa"). 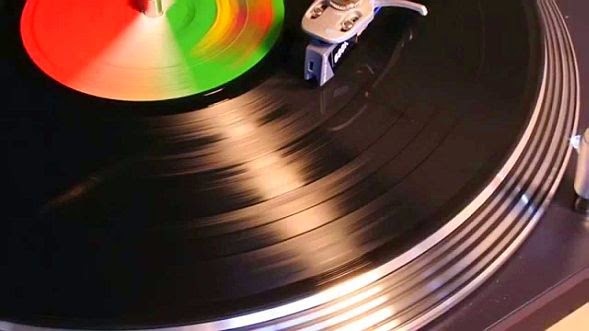 Much of the drama and humour in the picture comes from how these songs possess her and trigger a variety of memories that are inseparable from the music. 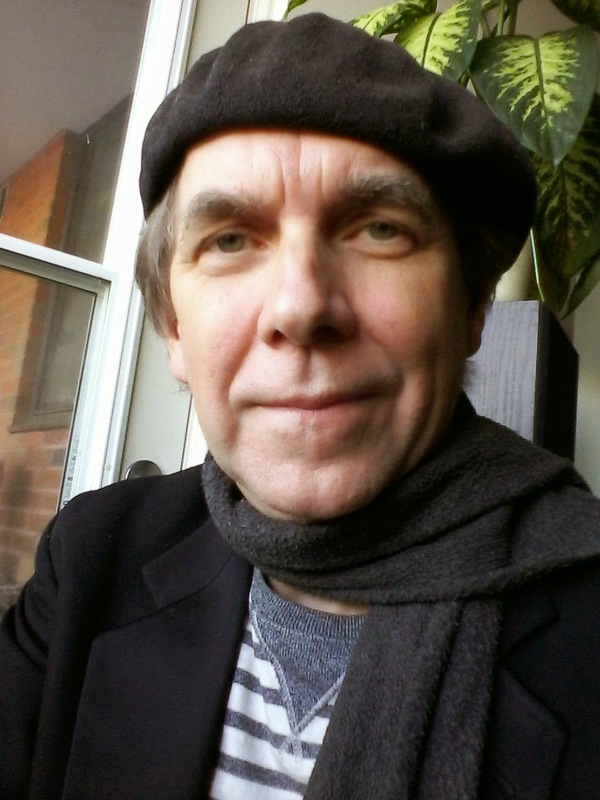 Memory becomes a chance game of free association, where Portishead's "Glory Box" can suddenly shake hands across the years with Bruce Springsteen's "Tougher than the Rest," and Free's "Be My Friend" can build a bridge to the Pat Metheny Group's "Are You Going With Me?" Occasionally, a song does something less conventional than just speak to the drama on the screen, as in the scene when Cheryl hitches a ride with a father and son and The Shangri-Las' powerful 1965 melodrama, "I Can Never Go Home Anymore" comes on the radio and pulls Cheryl back into her mother's orbit. While the use of the song may seem obvious (given the subject), it's lead singer Mary Weiss's sense of unrequited loss that makes the song so irresistible to the scene. "I had enough pain in me to pull off anything," Weiss would say in a recent interview about a song she recorded when she was all of sixteen. In an age when girls groups ruled in their own pop kingdom, The Shangri-Las were shimmering alchemists who took the melodrama of the teen angst genre, in heartbreakers like "Leader of the Pack" and "(Remember) Walkin' in the Sand," and turned them into biting psychodramas. Formed in Queens, New York, this group could make you hurt and simultaneously make you glad that you indeed could be wounded. "I Can Never Go Home Anymore," the tale of a young woman who leaves home for a boy and then has too much pride to reconcile with her mother, is cutting enough to draw blood. (Lines such as "she grew so lonely in the end, the angels picked her for a friend," or Mary Weiss's primal cry of "Mama!," immediately invoke the conclusion of Douglas Sirk's Imitation of Life when Susan Kohner, a young black woman trying to pass for white, comes back to the funeral of the mother she's rejected and dissolves in grief before our eyes.) For Cheryl, in Wild, though, "I Can Never Go Home Anymore" does the opposite of the title. It brings her unexpectedly back to harmonious times with her mother rather than to the endured pain of separation. Unfortunately, the driver's son, engrossed in a book and at a silent remove from his dad, snaps off the radio leaving his father and Cheryl suspended in time. "I love you, too, son," the father says to him with a tone of sarcasm that makes the track perhaps even more poignant to consider. Turning off the radio, however, only ends the song. The residue it leaves behind never vanishes. I always learn something from your takes on music and culture, Kevin. Thanks again.